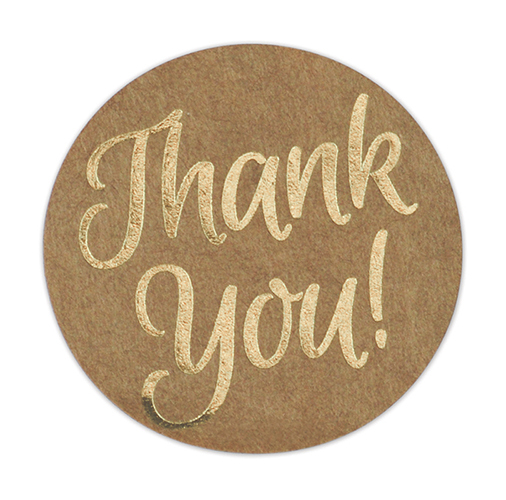 •Great-Looking, Easy-To-Use Stickers - With "thank you" printed in beautiful script 1.57 inches across. •Strong Adhesive - These stickers are made from kraft paper and stick permanently to paper and similar surfaces. •Perfect For Businesses - Add a friendly "thank you" to the package when you ship a product, or put one of these onto bills and invoices. Let your customers know you appreciate their business! •Perfect For Individuals - When you're sending thank-you cards or letters after Christmas, a wedding, or some other occasion, seal the envelope with one of these stickers to say "thank you" one more time!